DB Plastering Services - Damp Proofer based in Brading, Isle of Wight. 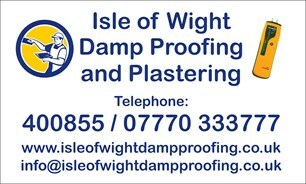 We are an Isle of Wight damp proofing and Plastering t/a D B Plastering Services. We have been trading as this for nearly 20 years but have been in the trade for 30. I am a qualified plasterer and sole trader. I have a qualified bricklayer working for me who also plasters and we are both reheated in the British Gypsum certified Plastering scheme and can offer guarantees on plastering work via the scheme. We also do exterior rendering including coloured KRend, external wall insulation, thin coat systems and textured finishes which again we can offer guarantees via K-Rend. We also do damp proofing services ranging from small remedial jobs to full refurbishment including basements and again we can offer guarantees on this work.